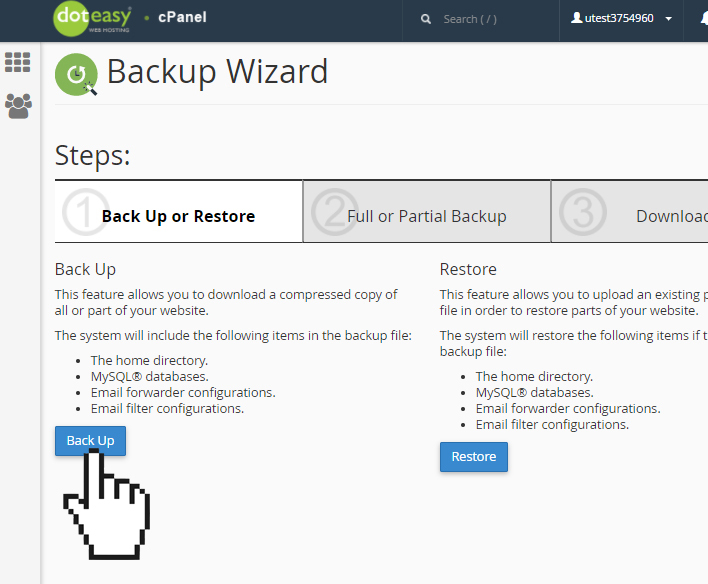 This partial backup includes the configuration for all email forwarders and account-level email filters created for your domain name. NOTE: This backup does not include any user-level filters. 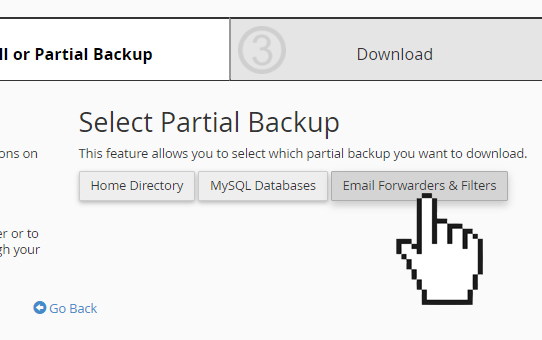 Under Select Partial Backup, click Email Forwarders and Filters. 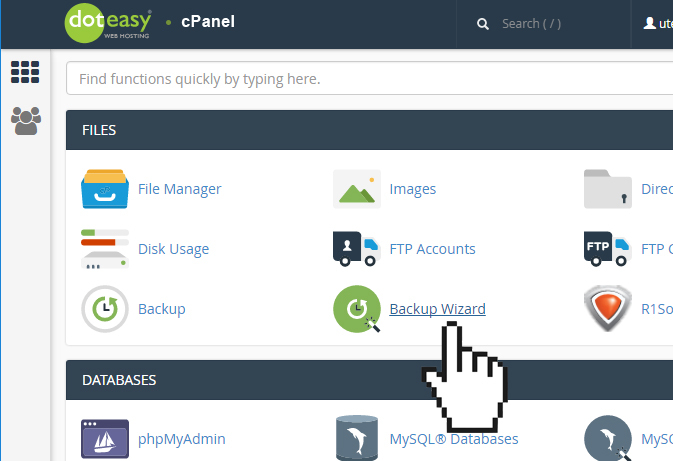 On the Final Step screen, select a domain name under forwarders, or select the System Filter that you wish to backup from the list that appears. Once the backup has been completed, you will find the downloaded backup file on your local computer.